Hotel marketing is about revenue, not about how much hotel's invest. You have a hotel digital marketing budget, even if you don’t think so. Commissions hotels pay to online travel agents (OTAs) are indirect marketing. What OTAs spend in their web marketing to provide your bookings, you repay them in commissions, plus their margin. you won't have to spend every year for each client. When new and repeat guests book via your website, you're building loyalty. Guests know your site / your contact / booking information. You know their contact information. Your hotel booking engine only takes $4 saving you $16. If you sold these 10 rooms directly from your own hotel site you'd save $16 per room per day. To ensure guests book directly via your site, discount rooms $1. $15 x 10 rooms x 365 days of the year. Your marketing budget ploughed back into your own site web marketing for brand marketing and loyalty is $46,500 pa.
Hotel web marketing for hotel's world wide includes consultation and or hands on web marketing of hotels. Web page analysis and online hotel marketing reports. Search Engine Optimisation SEO marketing of your hotel website. Social media marketing for hotels including video marketing. Cheaper than you think. A two day stay/famtour will give time to capture the best features of your hotel plus air fares plus expenses such as meals. In content marketing, "Content is king". Embed on your hotel video marketing page. In the hands of your travel agents, travel wholesalers and or social MEDIA marketer's job of creating buzz marketing, aerial video of hotels is AWESOME marketing. If your hotel in is not a luxury hotel, more showing off environmental attractions near your hotel is an option. If you're not up-to speed using Google My Business for hotels, you're missing out on a BIG free kick. Best hotel domain name consultation for your hotel. If the best hotel domain name is taken we've got hundreds for you to buy or lease. Google Places consultation for better hotel marketing on Google Maps and Google Earth. 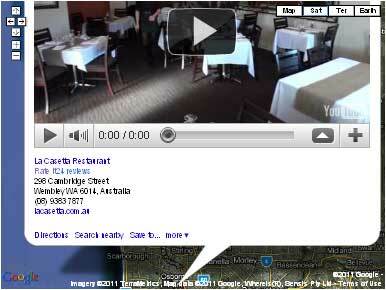 eg: Getting your hotel photos and hotel video on your Google Places pin. All our hotel marketing clients get a free linked pin on www.mapgoogle.org which gets 1,500 views per day. Link building for hotel websites. Publishing your banner ads and video broadcast (netcast) marketing on POPULAR hotel accommodation websites. We can act as media buyers for your online hotel marketing campaigns. SMO Social Media Optimisation. Let "4 Web Marketing" manage your hotel's social media marketing. Have you got share and follow buttons on your web pages? Do you get social media marketing statistical reports? New innovative interactive phone audio on hold. Let phone callers to your hotel choose music, podcast, quizz, etc while your hotel markets to them and gather's data about them. Less hangups caused by boring muzak. Market upsells to hotel guests such as hotel restaurants or tour desk, with all the interactive options of web page offering during WiFi sign-in. Also market survey hotel guests' personal data collection for remarketing when they sign-in to use your hotel's WiFi. 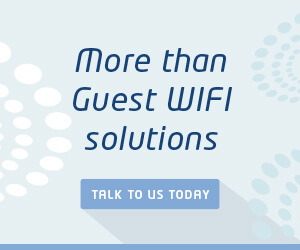 See banner ad at RHS of this page for more affordable, reliable hotel marketing during WiFi sign-in. PPC Marketing. Let "4 Web Marketing" manage your hotel's pay per click marketing. BIG 50% marketing discounts apply for not-for-profit organisations such as hotel associations. Free hotel CSR media releases via our Corporate Social Responsibility Google Plus page for hotel PR managers. Hotel web marketing consultation services for the luxury 5 star Kuta beachfront hotel, Discovery Kartika Plaza Kuta Beach Bali. Web marketing consultation for their Asian marketing executives. 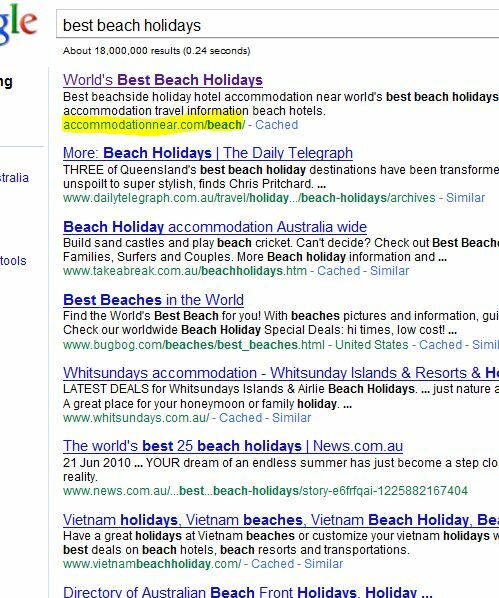 Banner ad on my Google winning page for "accommodation kuta beach bali"
keyword rich domain name www.hotelkutabeach.com which redirects for good web marketing for this hotel. Image Search Optimisation (ISO) Hotel photos on Panoramio. All those marked with also show on Google Earth and Google map view. What this luxury 5 star beachfront south east Asian hotel did for the manager of 4 Web Marketing: Provided hotel accommodation and restaurant meals for 8 days for 2 people. Contact Ben Grummels 4 Web Marketing +61-418958799 with your incentive for marketing your hotel? If you want personal consultation for your hotel marketing staff and executives, think about working with an airline to get me to your hotel. Airlines have a lot to benefit with travel destination marketing. Page one of search engines for various phrases. Our "organic SERP" winners are yellow highlighted in slideshow examples below. Go to the hotel marketing slide show if you can't see it.